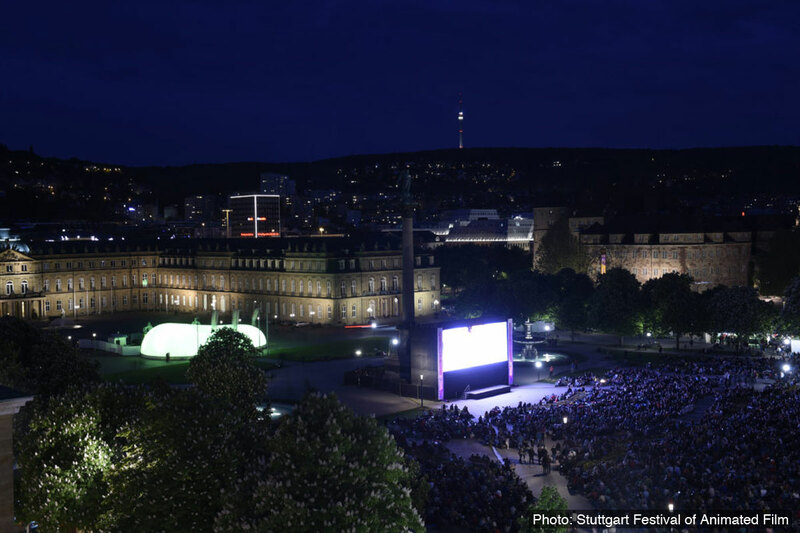 The Stuttgart International Festival of Animated Film (ITFS), one of the biggest animation events in the world, will be held from 30th April to 5th May 2019. The festival announced that more than 100,000 visitors, including about 2,500 industry professionals such as producers, curators, purchasers, sales agents, representatives of TV channels & the media, and filmmakers, are expected to attend ITFS 2019. In this article, you can read the highlights of this year’s ITFS from Prof. Ulrich Wegenast, the managing director of ITFS and an early overview of the festival’s impressive figures. We hope that this article could help you prepare to get the best out of ITFS 2019. Animationweek: Could you please let us know the highlights of ITFS 2019? What’s new in ITFS 2019? 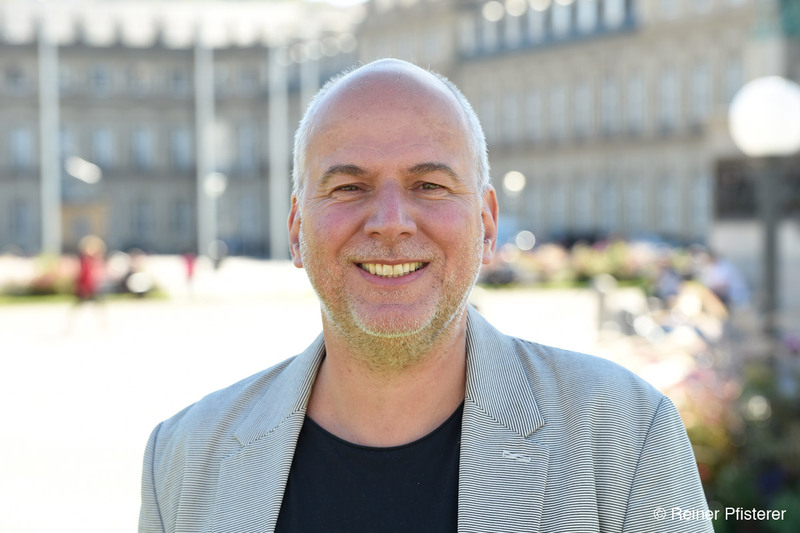 Ulrich Wegenast: The two main topics of ITFS 2019 are: Europe, and the relationship between science and animation/games. We will look at Europe from many angles. In “Animation Around Europe” we present highlights from Poland and Portugal. Together with the Ministry of European Affairs Baden-Württemberg, we had an animated film for Europe made and a special game on Europe will be created in a hackathon. With British curator Chris Shepherd’s programme “Brexicuted”, he addresses the consequences of Brexit in a satirical manner. In the “She Blinded Me With Science” series, natural scientists, games experts and animation curators deal with the interesting interrelationship between natural science and animation/games – they present classics of animation history such as Das Blumenwunder, films by Charles and Ray Eames or Stan Vanderbeek, up to recent games such as Fold It or Sea Hero Quest which shows how to decode an HIV virus or contribute to dementia research by means of games. Another new feature this year is a special conference on the subject of music and animation, looking at real-time technologies and immersion in music production as well as the application of animation in a stage context. We look forward to welcoming exciting guests again, such as French star director Michel Ocelot (Dilili à Paris, Azur et Asmar, Kirikou…) and animator/director Lino DiSalvo from the US (Frozen, Playmobil – The Movie)! Animationweek: Could you please let us know your impression and opinion about the films ITFS submitted for this year’s competitions? Ulrich Wegenast: The quality of short film as well as feature film submissions are outstanding this year, which is why we have increased the overall scope of the competition programmes. Spanish productions are particularly well represented in the feature film programme with Black is Beltza and Buñuel in the Labyrinth of the Turtles – two films linking 2D animation with adult, political themes. But with the German premiere of Missing Link (Laika) and the world premieres of Bayala and Rabe Socke – Suche nach dem verlorenen Schatz, we also offer interesting films out of competition for young and adult audiences. Overall, it is striking how the game industry strongly edges into the animation market in the feature film sector. In the short film sector, satirical and darkly political productions such as My Generation by Oscar winner Ludovic Houplain (Logorama) prevail. Animationweek: Do you have any messages for the general public and professionals who will attend ITFS 2019? Ulrich Wegenast: ITFS 2019 will be another festival that is within a short distance in Europe, with excellent competition programmes and fascinating, curated special programmes. 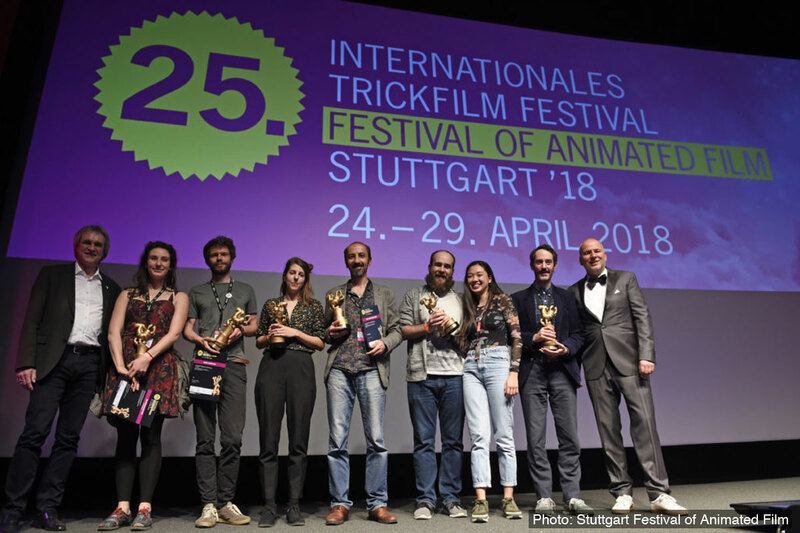 Again, the unique combination of the Festival (ITFS) with the business platform APD and the FMX Conference will make Stuttgart an international centre of animated films from April 30 to May 5. A special ITFS focus is on the link between animation and games presented in the GameZone at Kunstgebäude Stuttgart. A total of around 2,000 films and projects were submitted for the various competitions ITFS 2019. We listed the planned awards for ITFS 2019 below. International Competition: It features animated shorts and has four different awards. Along with the Berlin International Film Festival, the International Short Film Festival Oberhausen and DOK Leipzig (the International Leipzig Festival for Documentary and Animated Film), the ITFS is one of the four German Oscar-qualifying festivals (the winners of Grand Prix at International Competition). Young Animation: It has two awards for students’ works. Tricks for Kids: The competition by the children’s film festival “Tricks for Kids”. Trickstar Business Award: The prize for innovative business models in the animation industry. Screenings: More than 1,000 animated films will be screened at the inner screens and an open air cinema with a large LED wall during the ITFS 2019, including world and German premieres of featured animated films Mister Link, Der kleine Rabe Socke 3 and Bayala. Mater class: Lino DiSalvo about Playmobil – The Movie. Studio Presentations: Sublimation (Japan), Normaal (France), Tumblehead (Denmark), MackMedia/Europapark Rust (Germany) and Studio Filmbilder (Germany). School Presentations: Gobelins (France), Lodz Film School (Poland), Creative Media School (Hong Kong) and Filmakademie Baden-Württemberg (Germany). In Persona: Jonathan Hodgson (UK) and Ulu Braun (Germany). 48h Animation Jam: The contest 48 hours non-stop live animation for animation students of international film, media and art schools, as well as freelance animators and animaton producers aged 30 years or younger. It is a children’s film festival as a part of ITFS and it has a variety of film programs, workshops, special screenings and hands-on activities for children and family. GameZone: It is an event to show the links between games and animation. Computer games you can play, VR experiences and interactive installations will gather at 2,000 square metres space inside Kunstgebäude, Stuttgart. Hack for Europe: A game jam (a two-day hackathon) to develop ideas for games and early prototypes on the subject of Europe. The game ideas are to centre around diversity, democracy, and freedom. Animation Production Days (APD) is a big business platform that includes one-on-one meetings and a conference for the German and international animation industry. Each year the APD juries select animation projects and APD brings together financing, distribution and co-production partners for those projects. More than one third of all projects presented at APD received important financing elements and have been successfully produced in recent years. FMX is a prestigious international industry conference for animation, VFX, games and mixed reality, which gathers artists, scientists, producers and experts from all over the world. The main programs of FMX are presentations and workshops on cutting-edge technologies, including VR, AR, and 360° creative mediums, by world-class leading professionals, and showcases of hardware and software suppliers. Science, Games and Animation: A program titled “She Blinded Me With Science – Science, Games and Animation”, which consists of film screenings, games exhibitions, symposia and panel talks. The program illustrates the links between natural science and games/animation, curated by natural scientists as well as animation and games in cooperation with the University of Tübingen, the Nanyang Technological University of Singapore, and Heidelberg University. Music & Animation: A conference on pop culture & Immersive Media, Animation and Video Games Culture “I/P/D [immersion][popculture][distraction]” will take place in the domed hall of Kunstgebäude Stuttgart on 4th May. The topics are virtual reality and the digital distribution of music and animation. An electronic pop band “Der Plan” will perform concerts on 3rd and 4th May.